This page will offer links and information for all farms selling to the public in Shelbyville, Bell Buckle, Wartrace, Normandy, Unionville and all of Bedford County, Tennessee, provided free of charge by our page sponsor. If you do not have a website, we will list your address and phone number. If you would like us to develop and host a web page for you please contact us. 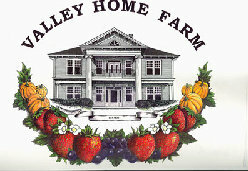 Valley Home Farm was built in 1835 by Jeremiah Cleveland. The house is listed on the National Register of Historic Places for its architicultural significance and has been featured on HG-TV's "Our Place". When you visit Tri-Star Vineyards you will receive our friendly, personal attention throughout your visit. Feel free to look around and ask questions. We are always glad to show you what we do and talk grape growing and wine making. Carlton Farms is a Community Supported Agriculture (CSA) farm, growing high quality fruit and vegetables in an earth-friendly, sustainable and natural way. The results provides members not only with healthy food but also a way to re-connect with the land. Sage Hill Farm is a Sustainable "chemical free" farm project in operation since 2003. 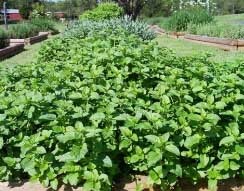 We specialize in Culinary herbs and herbal product. Fresh vegetables are available according to the season.